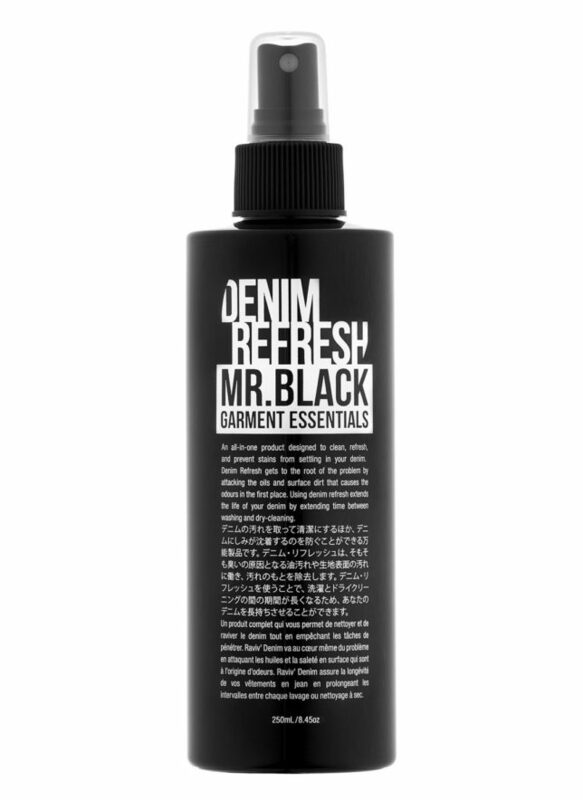 MR. BLACK presents the world’s-first DENIM REFRESH spray — designed to attack surface dirt and bacteria, keeping jeans fresh without the need for harsh machine washing. Cleaning, refreshing and preventing stains from settling, the all-in-one product attacks oils and surface dirt that causes odours. Using MR. BLACK’S DENIM REFRESH extends the life of your jeans, saves money, time and water, and is friendly on the environment. It’s is the only way to care for your denim. Another world first, Huel human food powder is a revolutionary new product, created by Julian Hearn, offering a completely nutritionally balanced 100% vegan high-protein, high-fibre, low-sugar alternative to traditional methods of maintaining a healthy diet. Formulated by the renowned nutrition expert James Collier BSc (Hons), RNutr., Huel contains all the proteins, carbs, and fats required to live a healthy, balanced life plus at least 100% of the European Union’s “Daily Recommended Amounts” of all 26 essential vitamins and minerals so you know you won’t be deficient in any essential nutrients. Ideal for those on the go or those wanting to restrict calorie intake, creating a Huel shake takes less than a minute and fills you up until your next meal. One scoop is a small snack, two scoops is a larger snack like a chocolate bar and three scoops is equivalent to a small meal like a sandwich. Your first order comes with its own shaker, scoop (only one per customer to reduce packaging), and cotton t-shirt. 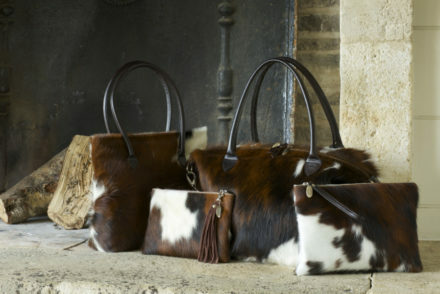 Best of all it is a humane vegan food source you can use to replace one, two or all of your meals each day. 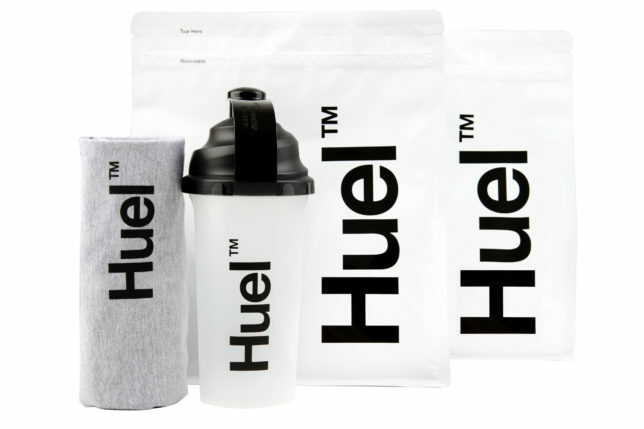 Huel contains a carefully chosen blend of Oats, Pea Protein, Rice Protein, Flaxseed, MCTs from Coconut, Sunflower Lecithin, Sea Salt, a bespoke Vitamin and Mineral Blend (including the phytonutrients Luetin, Zeaxanthin and Lycopene), Vanilla Flavour and a Sweetener. Huel comes in two flavours Vanilla (our personal favourite – an oaty, light vanilla taste) and Unflavoured & Unsweetened so you can add your own flavouring and sweetener or use in meal prep opening up more possibilities. Huel has developed a range of seven tasty powdered flavours designed to work with both Vanilla Huel and our Unflavoured & Unsweetened version however we found the Vanilla flavour extremely palatable (probably one of the best tasting products of its kind). There are a few hacks to help get the best out of the product – these are in the literature that comes in the box or on the pouch itself. We found using a ball whisk in the shaker or mixing Huel in a blender produced the smoothest results. A one month (28 meals) supply of Huel costs £45 and is available from huel.com – a gluten free version is also available (£50 for 28 meals). 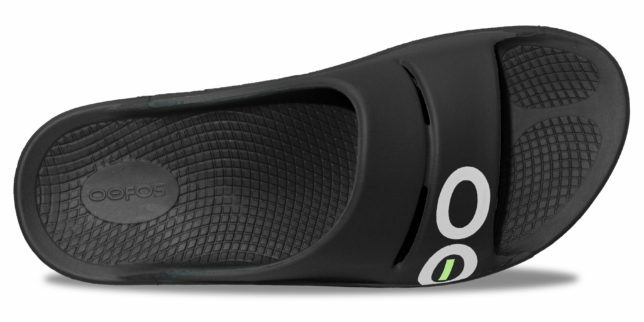 OOFOS recovery footwear are engineered to soothe and reinvigorate your feet after exercise, so you recover more quickly. We tried out the OOAHH Sport for Men (£45) and after a hard run in our favourite trial running shoes, putting on the OOAHH Sport was like walking on a hundreds of fluffy marshmallows – the foam was so bouncy and cushioning. 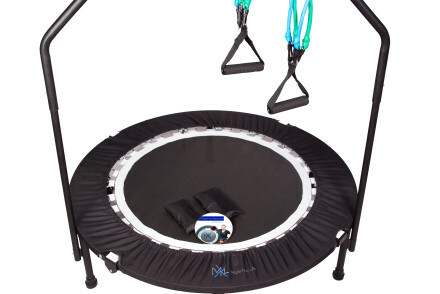 Pure bliss for tired feet! Comfyballs are supportive, breathable and comfortable, hold men’s equipment in place, keep it cool and remove the need to adjust, benefitting men in day-to-day activity and while playing sports. The underwear has a host of USPs including balls squeeze avoidance (BSA), reduced heat transfer (RHT) and their exclusive PackageFront™ design which accommodates chaps’ precious equipment of all shapes and sizes. If you are amongst the 50% of men who now have facial hair on a daily basis and want to keep it that way without drying out skin, check out Percy Nobleman’s new fresh, nourishing and non greasy Face and Stubble Moisturiser. A blend of the finest ingredients, this easily absorbed non greasy lotion is a blend of light natural oils designed to moisturise and soften your skin and facial hair all at once. Scented with peppermint and cucumber, this multi-purpose moisturiser is the first of it’s kind and has been specially designed to aid and moisturise both skin and stubble simultaneously helping you feel fresh, invigorated and ready to face the day.